– In the Leadoff, we discuss the latest in Spring Training developments. 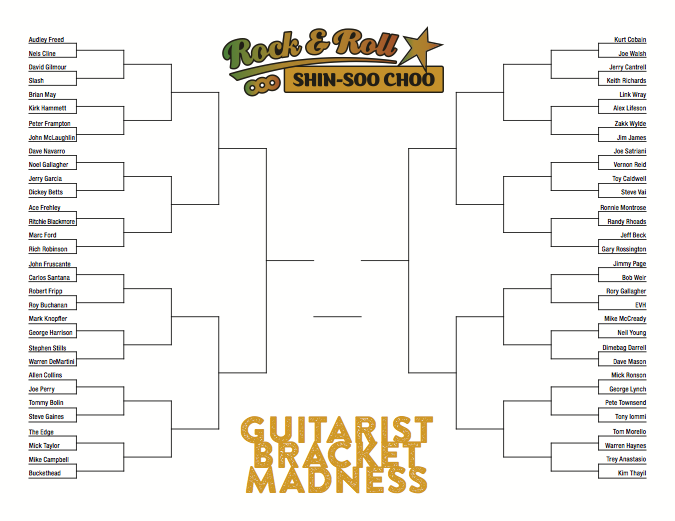 In the Heart of the Order, we introduce our first Guitarist Bracket and plow through a round of 32 matchups pitting some of rock’s best guitarists against each other. Knopfler vs. Harrison, Page vs. Weir, Townsend vs. Iommi, and more!